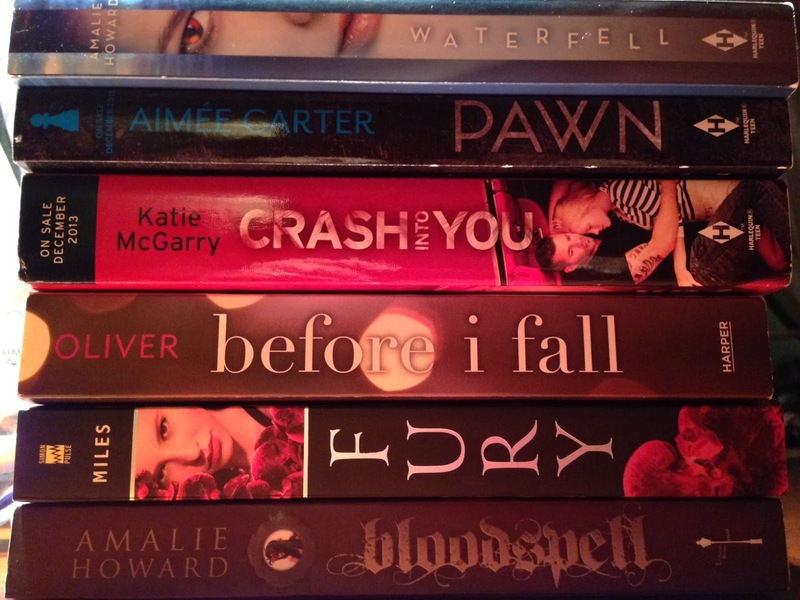 You released your first book “Bloodspell” in 2011, which led to an impressive five book publishing deals. How the heck do you have time to write so much, and what does it feel like to have your work recognized in such a great way? I am so incredibly grateful that my wonderful editors saw something they loved in my books and wanted to publish them. All three of my upcoming novels—WATERFELL, THE ALMOST GIRL, and ALPHA GODDESS—each brings something different and unique to the table, so I’m really excited that readers will get to sample such a diverse range of what I have to offer as an author. head, I just go. I plot a basic outline of my expectations, and then I let the story take me on its journey. And as I always say to my teen creative writing classes, writing is like homework. You have to make time for it and be diligent about doing it. What will fans of “Bloodspell” like best about your upcoming titles? introduced to completely different worlds—figuratively and literally, especially in THE ALMOST GIRL. In WATERFELL, I was particularly excited to share my love of the ocean (I grew up on an island) and surfing! I also wanted to explore the myth of the sea monster and shift it from something terrifying into something beautiful … enter the mysterious world of the Aquarathi! I’ve always been fascinated by quantum mechanics (even though I was hopeless at physics in high school) and the possibility of alternate universes. In THE ALMOST GIRL, I was able to explore that and more in this book, like the whole concept of nature versus nurture and whether we evolve differently based on harsher environments. I think this book will take readers on an interesting journey. wanted to share some of my experience with readers. My father comes from a long line of Hindu priests, so these myths were a large part of my childhood. The Ramayana is a particularly beautiful love story, and while my novel is a work of fiction, I really enjoyed crafting my version from such an inspiring mythology. Your next release, “Waterfell,” departs from the world of vampires and witches but stays in the realm of fantasy and science fiction. What do you like about those genres? Clearly, I love escaping reality. Fantasy and science fiction have always been my true loves. 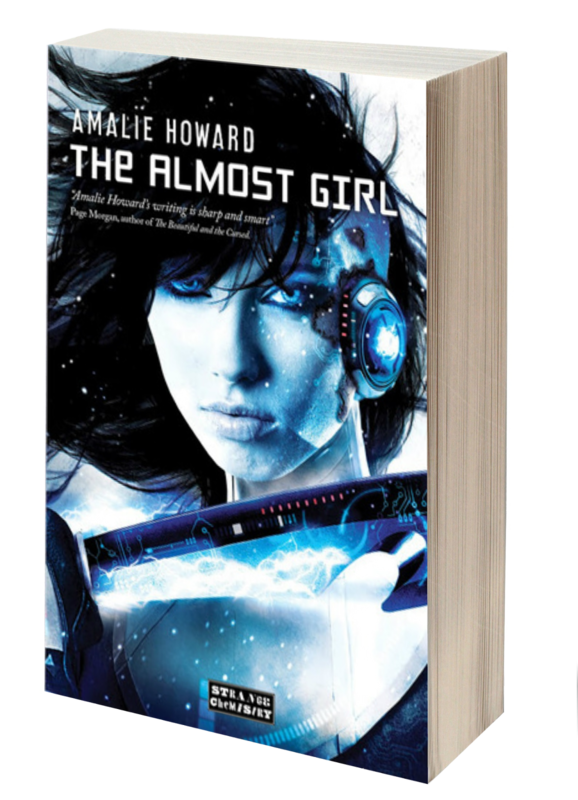 Like all of your books so far, “The Almost Girl” features a strong, independent female character as the protagonist. What do you hope readers learn from her? protagonist so I’m not gender-biased). I do like strong protagonists on the whole, but I also do think there has to be character growth that is transparent and meaningful to the reader. No one’s going to relate to a character who stays the same. With Riven from THE ALMOST GIRL, I love that she has to dig deep down to embrace her emotions. A soldier first, she’s so hard on the outside but still vulnerable on the inside—I really connected with her struggle to just let go of all her rules and be a girl. We build so many walls to keep from being hurt that we don’t allow ourselves to connect with others. I love that she was brave enough to trust her heart. In the end, I’m hopeful that readers will empathize with Riven and learn, as she does, that humans are born to feel, and that being open to life and love doesn’t make you weaker … it makes you stronger. 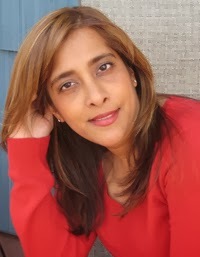 “Alpha Goddess” is your take on an Indian mythological tale. Where did you first hear about it? Although ALPHA GODDESS is a work of fiction, a lot of my inspiration for the characters and the world-building in this novel is based on Hindu mythology. My father is a second generation Brahmin (priest class in traditional Hindu society), so Indian mythology was an integral part of my childhood and religious education. Fascinated by stories and legends of various Hindu gods who incarnated as avatars to avert human tragedy, I wanted to write an epic story that encompassed some of the Hindu mythology elements I enjoyed as a child, like the Ramayana, the story of Rama and Sita. Of course, ALPHA GODDESS is my own invented take on another reincarnated version of these characters, and does not actually exist in Indian scriptures. I love meeting new people and exploring different cultures. I really believe that traveling the world has helped me to craft my characters, especially the ones that aren’t human (whom I have to invent). How do they evolve? How are they different from regular people? How are they the same? I enjoy using elements and facets from all the different cultures I’ve interacted with over the years to develop compelling scenarios and create robust characters in my writing. I also like to include some of my favorite cities in my novels, for example, Paris and New York in BLOODSPELL, San Diego, California in WATERFELL, and Fort Collins, Colorado in THE ALMOST GIRL. Although a writer can research anything online, writing about a place I’ve actually been to helps me to picture scenes and places more vividly. It allows me to create more authentic descriptions, so that my readers can feel like they are there, too. We can only imagine you’re working on something new. Can you give us any sneak peek into the mind of Amalie Howard and what’s to come? thriller/romance, which has a male protagonist that I’m very excited about. That one is now in the capable hands of my agent. In addition to that, I have outlined a companion novel to ALPHA GODDESS, and I am about to start writing the sequel to THE ALMOST GIRL. Lastly, I’m fleshing out a joint project with another YA writer that’s super secret and under wraps for now. So yes, I’m busy, but I’m embracing it all (with a lot of gratitude). 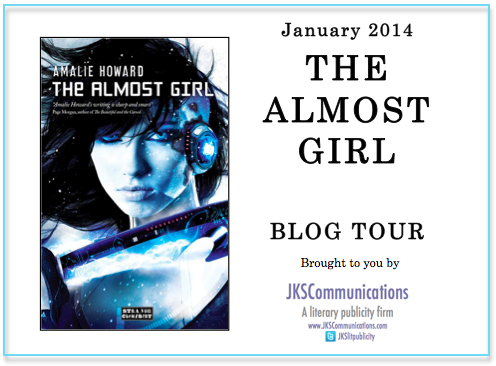 The Almost Girl sounds awesome, and I can't wait to read it. Love the great cover. Thanks for having the giveaway. I have yet to read this book, but I am excited to read it. It sounds so wonderfully scy fy and fantasy based! Plenty of action too. Thank you GCR & Amalie for the post & giveaway.. I've been looking forward to it for a while - always need more YA sci-fi! The character of Riven instantly reminded me of the character os Aeryn Sun on Farscape- a soldier coping in an alien environment. I'm looking forward to checking it out!